VoidCon Decking Systems will be looking to meet construction related companies to discuss the cost saving and environmental benefits of its composite suspended slab system. There will also be an opportunity for entrepreneurs to discuss the option of becoming representatives and or Licensees. Visitors to the Cohamet Engineering stand will see a display of gas and welding earth clamps and gas fittings which are compatible to Afrox and Rentech. Customers will receive a 10 percent discount on any orders placed at CAMINEX for the 600 earth amp clamps and also for the full height industrial turnstile for access control and time attendance. Also on display will be the gabion baskets for retaining dam walls. ZSIC Life will be holding customer events and media briefings during the show as well as lucky draws and competitions. Metal Fabricators of Zambia (ZAMEFA-CBI) will be showcasing its large cabling product range, which is ZABS approved and backed by 50 years of experience. WJ Engineering will be using CAMINEX as a platform to offer its comprehensive range of products and services to the mining industry including consulting, design, manufacturing, installation and commissioning of mining equipment and structural steel. Also on show at CAMINEX will be the Southern Africa Stainless Steel Development Association (SASSDA) with its focus on primary stainless steel product, stainless steel hardware for architectural purposes, be-spoke fabrications for a wide range of industries, and training. Polyroads will be showcasing its Polyseal Barrier Liners at this year’s CAMINEX. The barrier systems have been designed to prevent regional groundwater contamination by isolating leaching processes from the wider environment. Visitors to the stand will be able to learn about the state-of-the-art liners systems as well as the capping or covering of solid mining waste, another effective and proven treatment technology. AZMET Technology & Projects will introduce its process technologies to visitors at CAMINEX such as Cu Basic and Reduced Leach Technologies to decrease CAPEX and OPEX or to increase throughput; UFS Classification Technology to improve recoveries or ROM throughput; and Reagents to minimise hydrocarbon contamination and increase float recoveries. Garsin Engineering will be showcasing samples of mild steel tubing rounds, squares, rectangles and ovals. An exhibitor at CAMINEX, the South African Capital Equipment Export Council (SACEEC) is tasked with assisting in advantageously positioning SA companies’ products and allied services within international target markets, yet have repeatedly witnessed the difficulty its members experience in establishing a foothold in Africa from which they can deliver on projects that contribute to the development of the region. The SACEEC aims to provide a solution to bridge those obstacles by proposing cost-efficient, workable and well-resourced centres of operations from which companies may launch their business interests into the Zambian and ultimately the surrounding market. 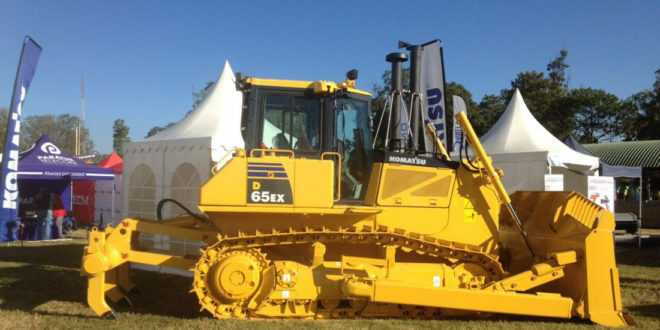 CAMINEX is organised by the Copperbelt Mining, Agricultural and Commercial Show Society (CACSS) together with Specialised Exhibitions Montgomery, known for its highly successful Electra Mining Africa exhibition which has a strong 46 year heritage.